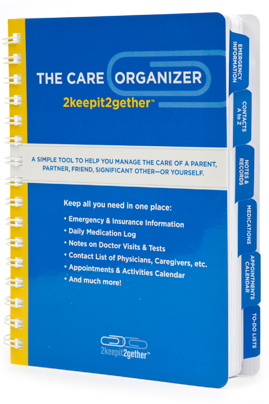 A simple tool to help you manage the care of a parent, partner, friend, significant other -- or yourself. Contact List of Physicians, Caregivers, etc. 2 large pockets for receipts, etc.